Sharon Ito has the distinction of having worked for News10 twice in her career. Sharon got her start as a producer/reporter for News10 from 1985 to 1990 and returned as an anchor/reporter in 1996. After she left News10, Sharon took a job in Los Angeles as a reporter for KCAL-TV's prime time newscast. She returned to Sacramento in 1993 to join then KPWB-Channel 31 as an anchor/reporter, and later served as the executive producer for the station's evening newscasts. Sharon returned to News10 in September of 1996 as weekend anchor and general assignment reporter. From 2002 to 2007, she anchored "News10 Good Morning" along with Dan Elliott. 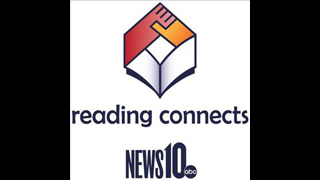 Sharon moved online to develop and launch a major initiative on news10.net in 2007 as anchor of Live_Online, the station's first online project to interact each day with viewers. She conducted live studio interviews while holding an interactive chat with viewers. Live_Online continues as a live video stream and viewer chat for newscasts and developing news. Sharon recently returned as a headline anchor for News10 Good Morning and continues her work as a web producer for news10.net. Sharon has been honored with many awards, including a Golden Mike Award from the Los Angeles Radio-TV News Directors Association for her work during the riots in 1992. She was recognized by the Society of Professional Journalists for feature reporting and by the Associated Press for television news producing. Sharon is a Sacramento native and earned a Bachelor of Arts degree in Communications from the University of the Pacific in Stockton, California.